At long last, more details about Disney+ have been revealed — and, suffice it to say, Disney’s new streaming service sounds just as magical as the beloved characters it’ll revolve around. From Stage 2 on Disney’s Burbank campus, Disney execs announced monthly and annual price points for the service, as well as the launch date. And don’t worry; you won’t have to wait too long to get your Disney obsession on. As for when you can begin binge-watching with wild abandon, mark your calendar for November 12. The company also released quite a bit of information regarding the content subscribers can expect. For starters, it — like the premium plans of other streaming services — will be ad-free. The shows and movies will be available to watch online or for download to watch offline. 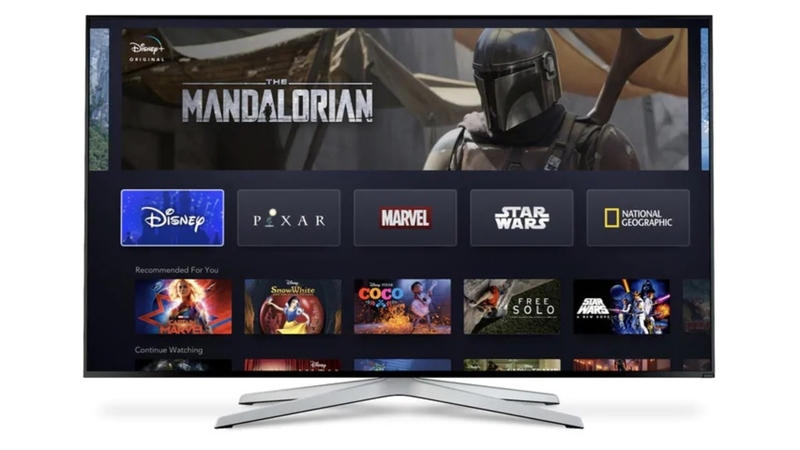 Loyal Disney fans will be happy to know that Disney+ will serve as the exclusive streaming home for new releases from Walt Disney Studios, Pixar, Lucasfilm and Marvel, starting with 2019’s run of Captain Marvel, Toy Story 4, Avengers: Endgame, Frozen II, and the live-action remakes of Star Wars: The Rise of Skywalker (Episode IX), Aladdin and The Lion King. That’s not all, though. The company revealed it will release “more than 25 original series and 10 original films, documentaries and specials” in the first year alone. On day one alone, series and films like Jon Favreau’s The Mandalorian, High School Musical: The Series and The Lady & The Tramp will be ready to stream. Disney+ will also be the executive streaming home to all 30 seasons of The Simpsons. All told, the service will offer more than 7,500 television episodes and 500 films. As if all that wasn’t enough to make your Disney-loving heart thump, know that this is probably just the first phase of the streaming service. Kevin Mayer, Disney’s Direct-to-Consumer unit chairman, told investors that Disney will likely offer bundled services in the future (the company owns ESPN and is a major stakeholder in Hulu). This should give you ample time to inform everyone of your inevitable absence come November.